When I purchased this card at the Seaport Museum New York a few months ago, it was with great sadness, for mismanagement had caused the museum to close nearly all programs, save the gift shop. 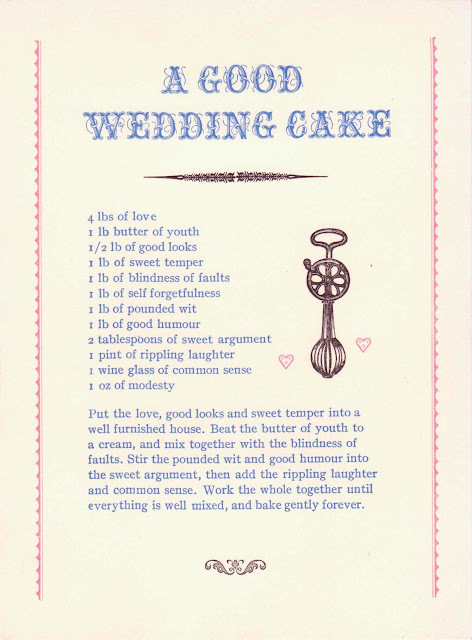 Bowne and Co., the museum's historic letterpress print shop which created this card, was shuttered. The historic fleet of ships was neglected. Galleries were empty and education programs had ceased. These things rarely end well, but remarkably this one did. The Museum of the City of New York has taken over the seaport museum (and reinstated its original name, the South Street Seaport Museum), and is forging ahead to return the museum to its former glory. Cheers to Peter Stanford, founder of SSSM; Susan Henshaw Jones, president of the MCNY, and all the folks at Save Our Seaport and Friends of Bowne. This definitely has all the ingredients for a marriage made in heaven. 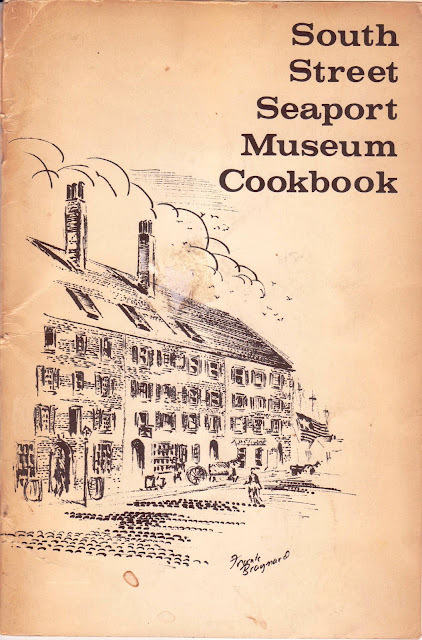 For those who want recipes, here are links to two from The South Street Seaport Museum's cookbook pamphlet, printed in 1972, just a few years after the museum was founded to preserve the history of New York's port (which is more important in understanding the city's -- and nation's history -- than one might think). How wonderful in the days of budget cuts and closures that MCNY would come to the rescue. I must admit, I am a sucker for historic preservation! I'm so glad it worked out for the museum. Thanks, Ladies! I am thankful for the wonderful turn of events at the Museum and appreciate your kind thoughts.